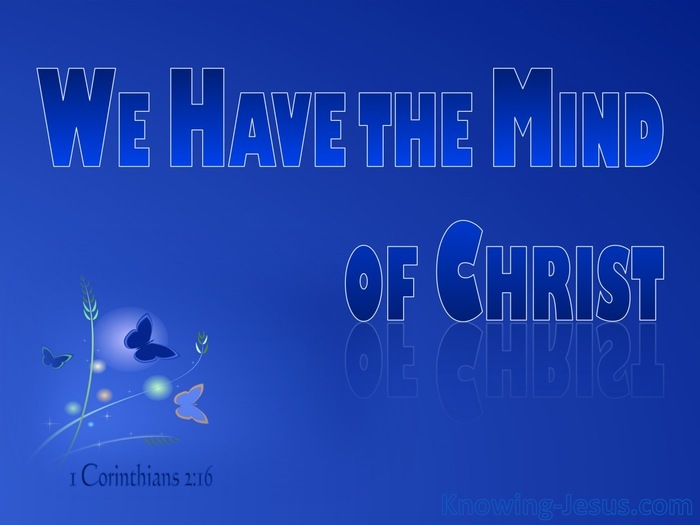 We have the mind of Christ..
We are told in the last days there will be incredible deception and evil will multiply. People will run to and fro around the earth seeking knowledge and understanding. Doctrines of demons will proliferate … false teachers will abound… but the word of God is unchangeable and the character of God stands fast for ever. The Lord Jesus is our ‘standard.’ He is the One true and only ‘benchmark’ for life. He is the criterion for our pattern of behaviour.. our actions, speech, attitude and motives. He alone is the bedrock on which to build and He alone should underpin our being. He alone is our source and supply and all thought should be filtered through His mind. He not only shows us the way and points out the way – but He is the Way. He not only tells us the truth and reveals the truth – but He is the Truth.. and the truth sets us free John 8:32 – He not only gives us life and breathes new life into us – but He is Life. He is life and health and wholeness and peace and freedom. But He is not the life and peace that the world craves but life on a different dimension. 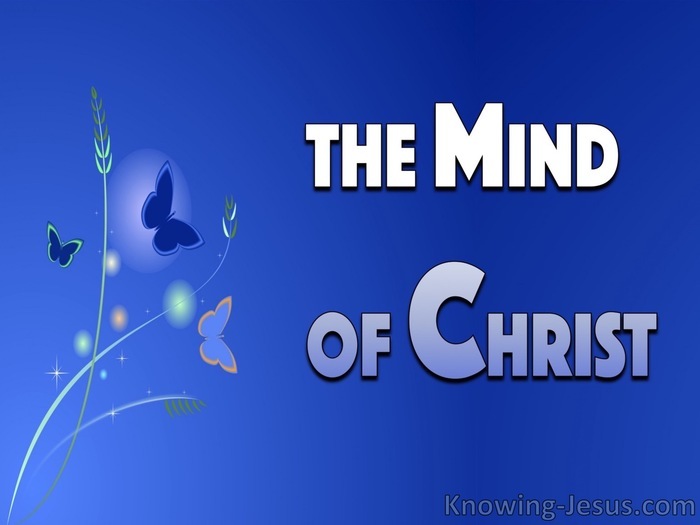 He not only guides us in our thinking but we have the mind of Christ. We have the mind of Christ and we are exhorted to let this mind be in you – we are to guard our hearts and our minds through the filtered truth of the Word of God. This is fundamental and this is foundational – Check out the scripture from Genesis to Revelation. Scrutinise the teachings of Paul. Plough your way through the Psalms of David. Plunge into Soloman’s Proverbs and time and again and over and increasingly it comes back to man’s thinking… to our thoughts.. the way that we think and that which we focus our minds upon. Every evil action and every disgusting, hurtful word starts in our mind. The Psalmist says the LORD knows the thoughts of man, that they are vanity.. while Moses tells us that in the days of Noah:- every imagination of the thoughts of man’s heart was only evil continually Genesis 6:5.